Many of you are familiar with my EUC adventure already. I feel like it was a month,but it's about a week only since I've started my EUC learning curve. That was for about four sessions,at every another session I felt a little bit encouraged and confident,sensing the balance better,going freely for a bit longer, before I had to hold on to the furniture. Two days ago I felt it's time to leave the kitchen and go outside. This is about the same length as the kitchen floor, but I could go around those bins (supported slalom), achieving more speed,etc. At the end of this session I could go freely through that distance in straight line,making turning point at the wooden pole (look right corner). Yesterday I went for it! After some runs there and back, I went to the last bin, just next to the gate! Until I felt brave enough to made it to the gate!!! 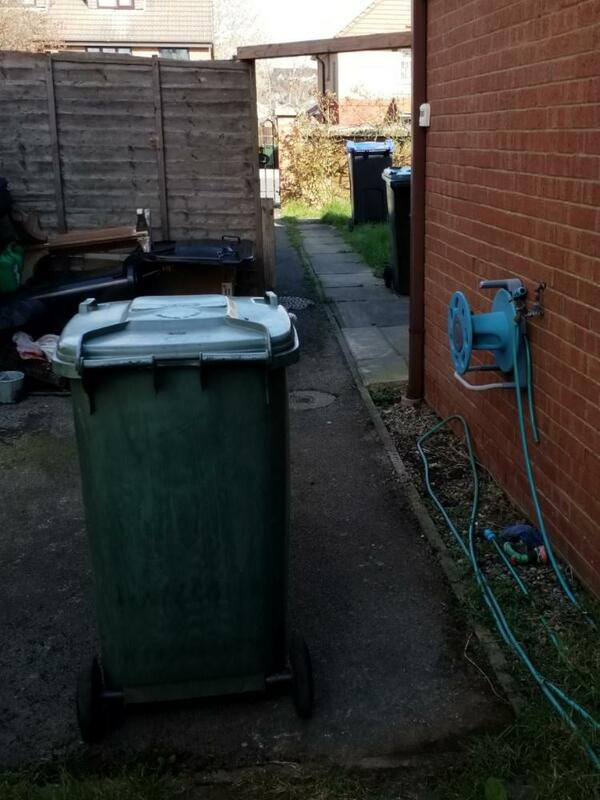 I had to go on the curve to pass the car, go next to the bins and to finish at the side of the house (the first bin). 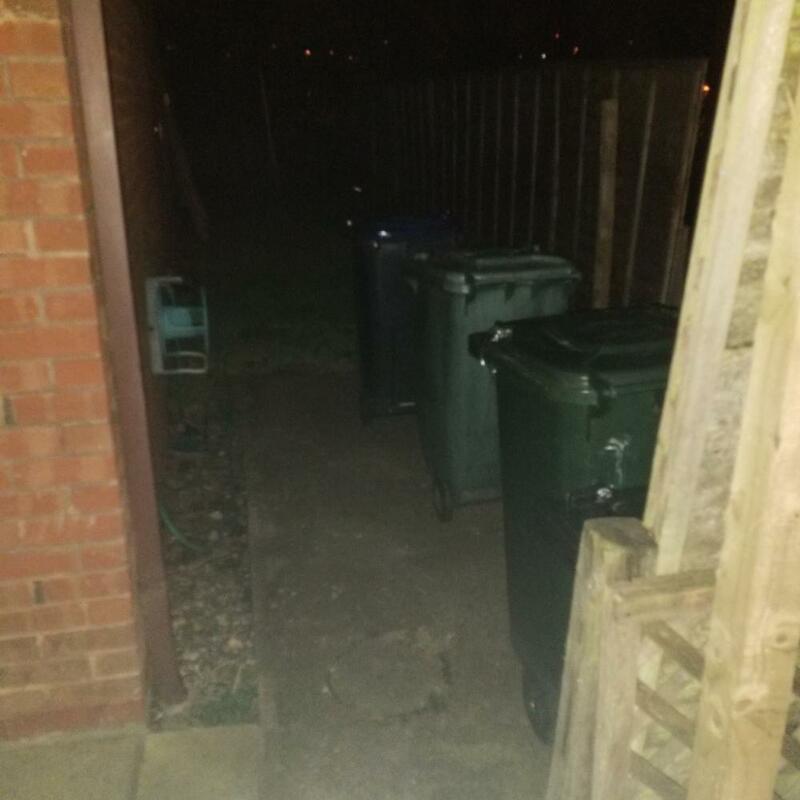 I've had fewer scary situations losing balance,but thanks to those bins and the car on my sides , I managed not to fall. Maybe I'm just a way too careful? I think I'm very proud seeing the progress so far..? 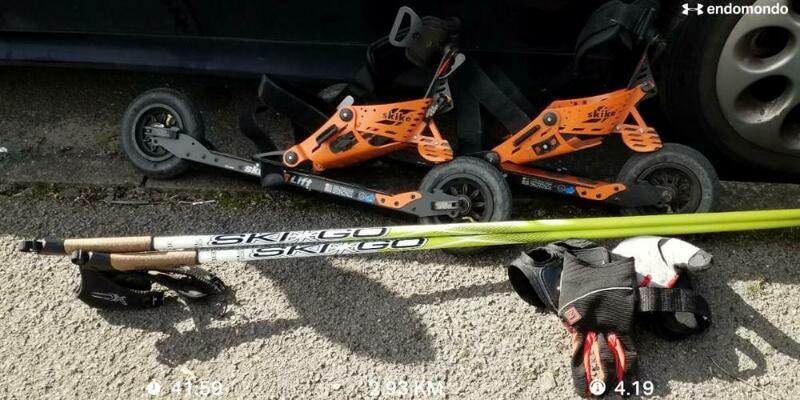 To be honest I gave up roller skiing few years ago,can't tell the reason to be honest,just have lost of interest kind off? Hi @PogArt Artur glad to hear you are figuring it out! I am also new to euc and have been practicing a couple of weeks with the last week clicking in nice. In the past two days I have been able to do about 3miles at the park mostly stopping because my dominant leg (right) lower muscles on the side were aching something fierce. I am positive that will go away in time and just this morning was able to return home from the end of park all in one go even crossing train tracks. Looking forward to seeing your future updates! 20 months ago you would have had good company! Have a laugh at my expense. Cheers! The feeling must be amazing to made all that ride back home,isn't it? Can we account the EUC riding to exercise like jogging for example? I know I'm getting tired on my practicing atm, but I guessed it's because it's cost me much much more effort to keep it going..? Once I learn how to ride properly, I imagine there's no much workout - am I wrong Stephen? I'm very pleased with what you've said! It was my very first day at EUC! I left the idea after that. Let me fetch you my second day, totally hilarious. Congratulation on your persistence. Don't rush. Most importantly stay SAFE. As you can see, somehow I'm practicing at my own suitable peace? She said: "You have to post these here!" after I posted her Blooper! So I obey! Aha! Now I know that you tried poles long before I came up with this idea Revisit it! Really helpful with learning tricky moves, a lot less falls. This is why you beat me to the Thompson by a month! If you please could avoid doing much more mileage on your Z10 please? Just go around your house - if you really have to? I found my really pitiful day 2. Notice the Ready To Bail foot placement (RTB), typical of a beginner. Have fun! ^ This^ exactly. Toss the wheel around on a rough track and you will be getting some sort of work out. Your legs will turn to jelly. Or @Rama Douglas s dancing moves. They look slow and almost easy, but 5 minutes of that (once you have learned how to do that) will put a burn in your quads (quadriceps) like you wouldn't believe. An hour on that infernal washboard canal tow path yesterday (and other riding) had me asleep in the recliner when I got home; I was zonked. I'm very pleased to hear that Smoother! Thanks to you Stephen and Smoother I know I was told wrong. Is it comparable to exhausted, the same meaning? Can I say if I'm tired -> I'm derailed or zonked? Would it means te same ? I bet you do, hahahaaa! I thought about creating a Kasenutty ‘Zonked’ image but will save it for another day.